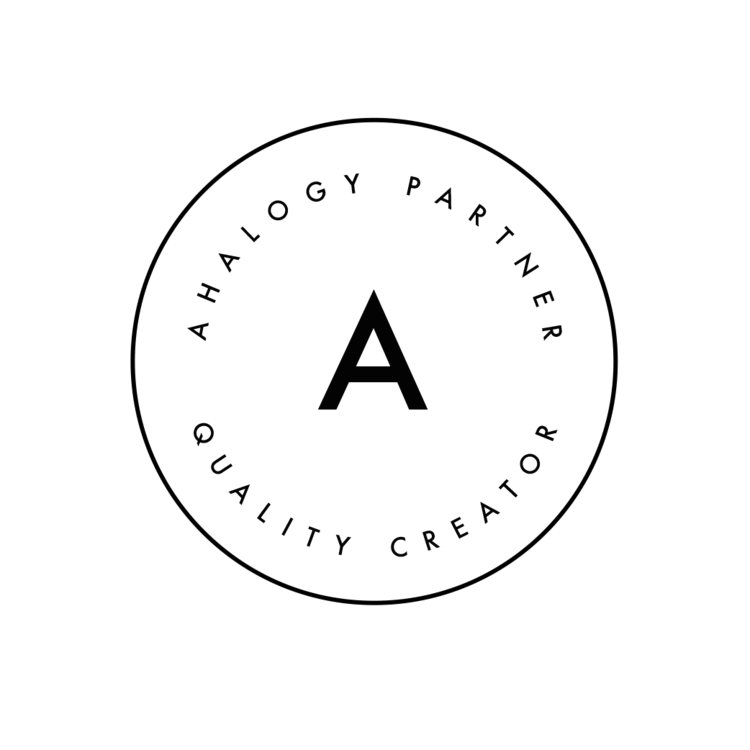 In a few weeks, I’m planning to introduce new content to you. After some urging from a friend, I’ve decided to share my personal journey with Hashimoto’s, gut health, and late onset food intolerances. Anyway, I don’t want to give away all my secrets before I’m ready to release my series on the health struggles and my journey to-date. But, I can elude some of the things I’ve done to get me to a better point in my health. If you want to know the truth, supplements are keeping me alive. Hmm … maybe that’s not exactly the truth. Well, I feel like that’s what I’m doing. I have fond memories staying at my grandparents’ house for a week or more at a time. I also remember watching them down their vitamins every morning. I couldn’t understand why they took so many but chalked it up to an age thing. Here I am, a few short years from 40 (dear lord, I can’t believe I just publicized that), and I’m downing as many (or more) large pills they did in their 50s. Only now, I’m wishing mine were an age thing. Seriously, I feel like these things are what keeps me alive and moving. It’s sad, really. I can’t even think straight right now, so I’m going to estimate I’ve been on a routine supplement intake for nearly 4 years. Thankfully, I’m working with a doctor who practices functional medicine. He believes in health through more natural means. So, while he helps me with prescriptions, he also relies heavily on supplements and good dietary practices, especially a Paleo diet. 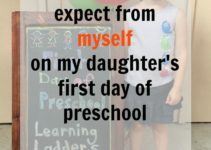 This is a sponsored post, created in partnership with Moms Meet (momsmeet.com). 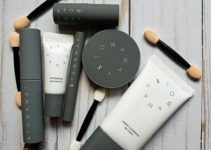 Compensation and free products were provided for this post. All opinions are my own. I am not a doctor! Please seek medical advice and recommendations from a trusted medical provider. Why Should Women Take Probiotics? Part of my supplement routine includes quality Probiotics to keep my gut in good health. And, wouldn’t you guess, I also don’t produce enough of my own digestive enzyme to help me digest and absorb all the nutrients in my food. 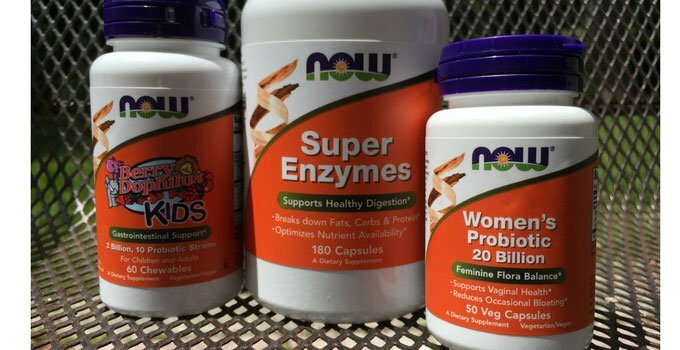 So, it’s great that I was able to team up with Now and Moms meet (which happens to be my favorite supplement brand) to discuss the Women’s Probiotic and Super Enzymes. Let me, first, make clear that I’ve been working with my doctor to evaluate my needs. Additionally, I’ve spent a good deal of time reading up on and attending online health summits in an effort to help myself heal. Everything I discuss here are my opinions and what I’ve come to understand to be true. Please fact check and do your own research … do not take my word for your deciding factor on any health issues. Seek medical advice from your trusted medical provider. To begin, it’s important to know that all of us have naturally occurring probiotics in our intestinal tracts. These are helpful in maintaining your overall health. 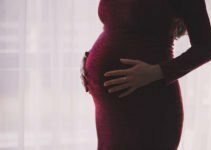 What’s interesting to note is that the tiny microorganisms (probiotics) are acquired during birth, through the birth canal and begin colonizing within the first couple days of life. Additional supplies of these probiotics and healthy bacteria are supplied during breastfeeding and through the use of some formulas. Through the years, we continue to obtain these beneficial microorganisms by eating certain foods (generally certain dairy products and fermented foods). So here’s the thing … our diets aren’t always healthy. Some less so than others. And, I can tell you that I didn’t grow up eating many fermented foods. In my thirties, I also learned I’m intolerant of dairy. And we will not even get on the discussion about lactose-free, because the intolerance is much more complicated than the lactose. I’ve been taking NOW® Probiotics for several years after it was determined that my body was severely deficient. I had some serious gut issues and an autoimmune disease, which my doctor believes comes from having those gut problems. 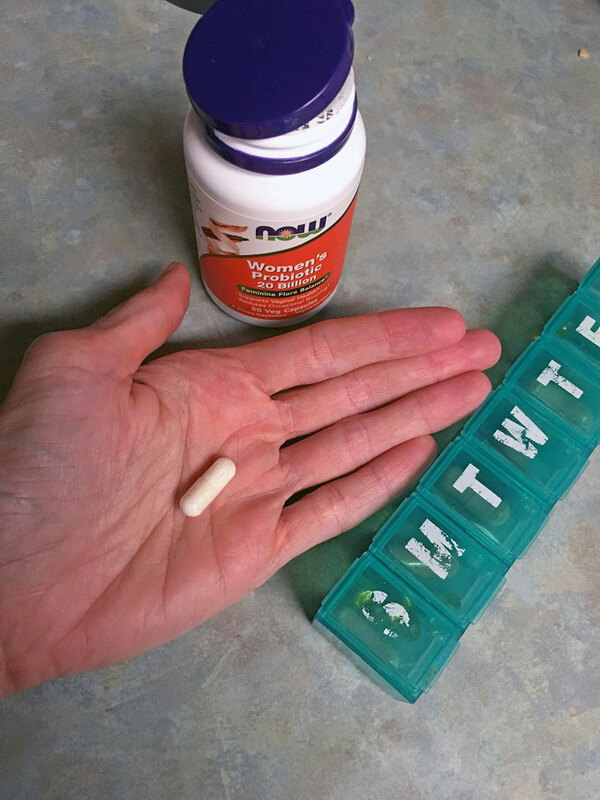 After doing a Paleo diet based cleanse, I began to personally take a heavier dose of NOW® Probiotics. This was an important process for rebuilding a healthy balance in my gut. 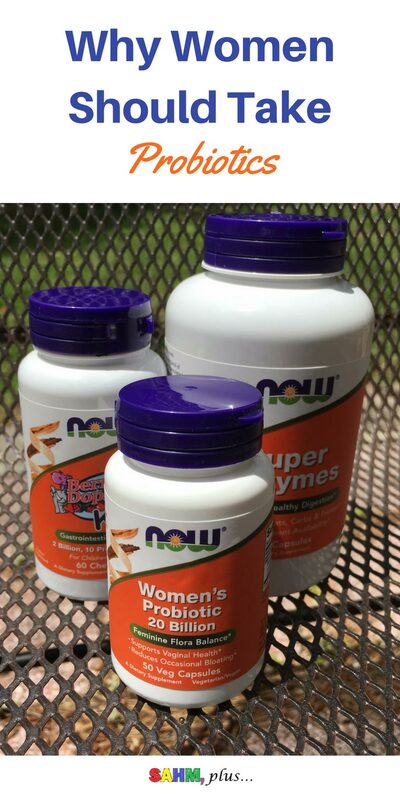 However, for the average woman, I believe the NOW ® Women’s Probiotic is sufficient. Even for myself, this is a better option than no probiotics. Aside from the immune system and gut support probiotics provides, NOW® Women’s Probiotics support vaginal health and reduces occasional bloating (as stated on the front of the label). I choose NOW® probiotics and other supplements because they are free of gluten, milk, soy, egg, fish, shellfish, and tree nut ingredients. This is important to me because I have severe intolerances to gluten, dairy, and almonds. So, a probiotic with any of those ingredients wouldn’t be very beneficial to my health. Because of the massive amounts of supplements I take to “stay alive,” affordability is always a driving factor in determining which supplements I’ll choose. NOW®, in my opinion, provides many of the supplements I need at prices I don’t have an internal battle over spending for the sake of my health. Thanks for this post! I have often wondered if taking probiotics was something I should do. I keep hearing about it, I think I am going to look into Now. Thanks so much. This is great information. I am actually a big believer in probiotics. I have a variety of gut related issues, the details of which I will spare you from, but probiotics definitely help. 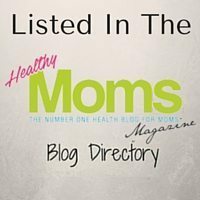 Jasmine Hewitt recently posted…Because Mommin’ Aint Easy: DuVino Wine Glasses for Mom! That sounds like a great product, I noticed several of the probiotics here in the uk contain dairy, which I can’t have. I took them a lot while breastfeeding.